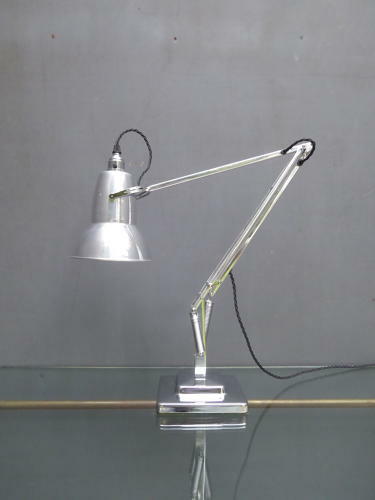 A fantastic example of a vintage Anglepoise 1227 desk lamp by Herbert Terry & Sons. A wonderful example of this iconic design classic featuring the stepped base, tulip shade with this earlier version boasting the chrome fittings, earlier springs & 'rolled edge' shade which sets it apart from the later models. One of an identical pair currently available. Wear commensurate with age as pictured, a great example having had a full restoration at some point during it's past. As this lamp was not polished recently it does shows a few signs of age ie. scuffs & imperfections to the finish which do not detract.